Riesneralm - Several nice views of the Riesneralm. St. Martin am Grimming: View of Mount Grimming, 10.1 mi. 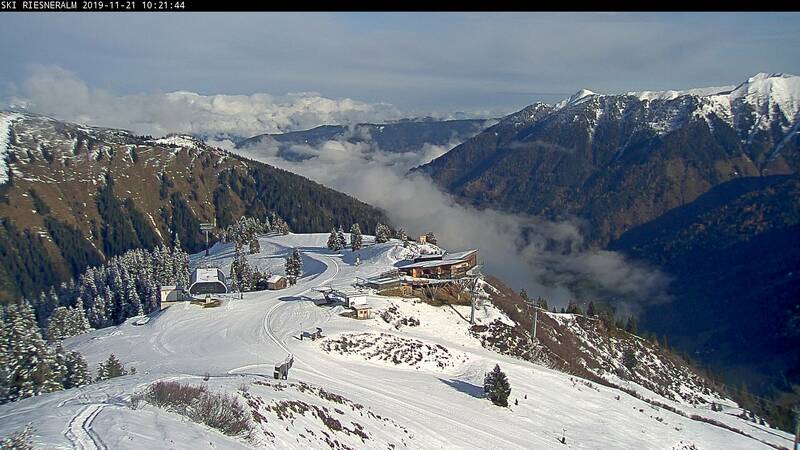 Weißenbach bei Liezen: Webcam of the Golf- and Landclub Ennstal, 13.9 mi. Hauser Kaibling: Skiing Area, 14.6 mi. Bad Mitterndorf: PANOMAX Grimming Therme, 14.6 mi. Haus im Ennstal: Hauser Kaibling 360°-Panorama, 14.9 mi. Haus im Ennstal: PANOMAX Hotel Herrschaftstaverne, 15.8 mi. This webcam Donnersbach with the theme Landscapes was added on October 18, 2012 and is operated by Riesneralm. It got 689 visitors since then. Shouldn't this webcam work or should the link be wrong please report that here. You can add this webcam here to myCams.